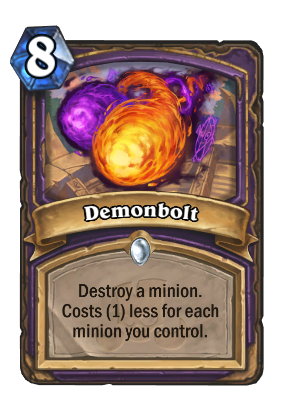 Destroy all minions. 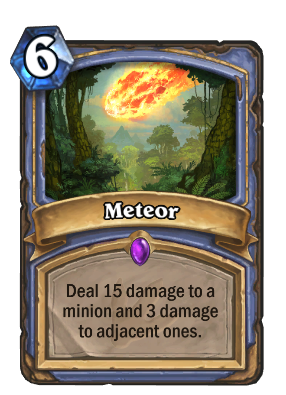 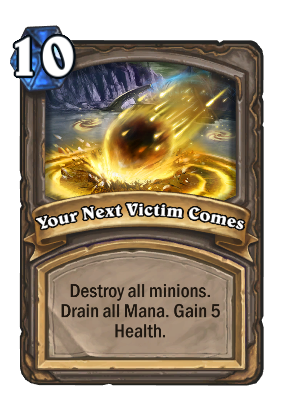 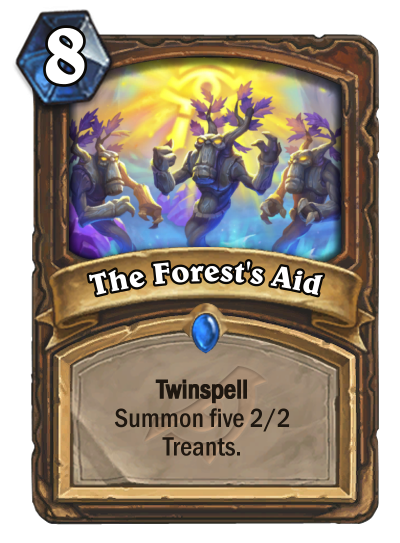 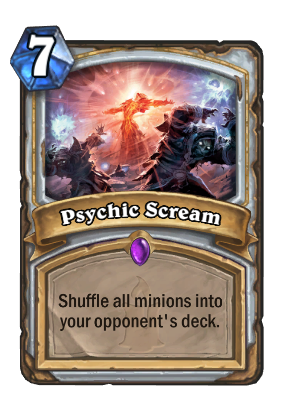 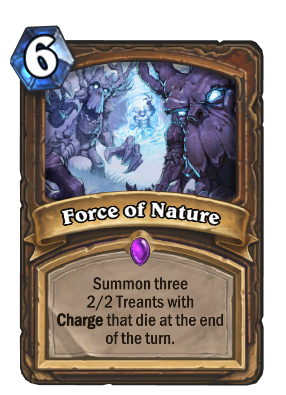 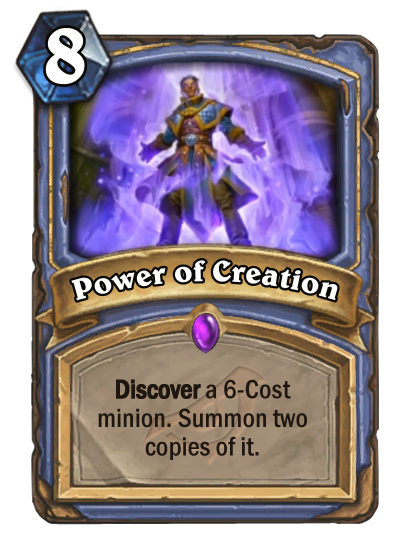 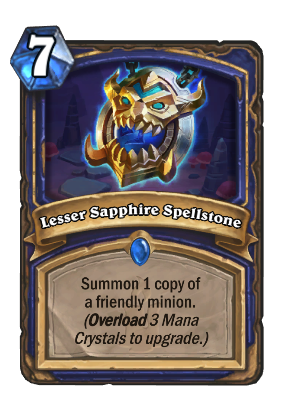 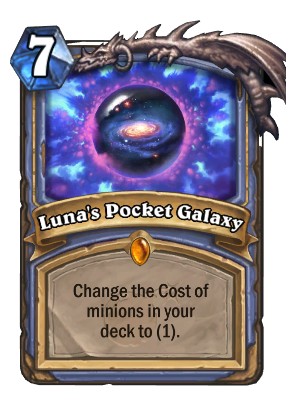 Drain all Mana. 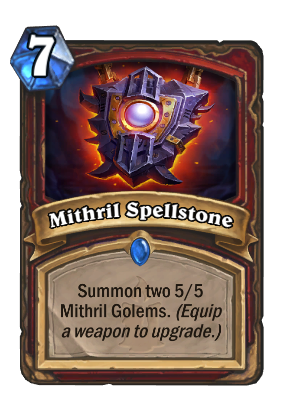 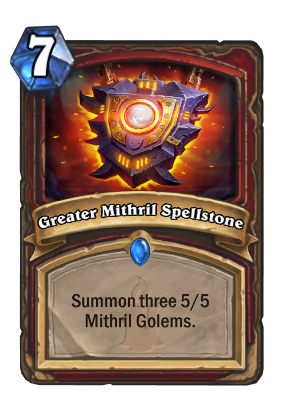 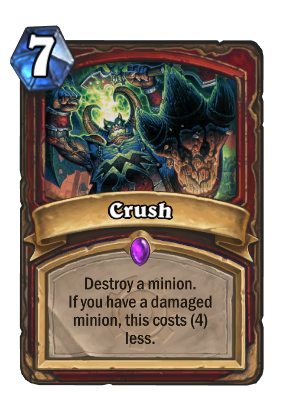 Deal 6 damage to all minions. 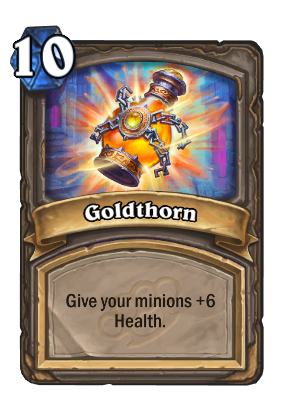 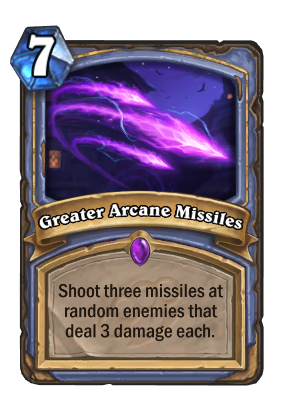 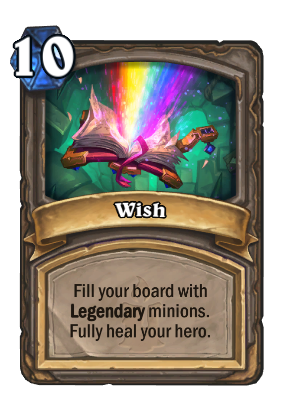 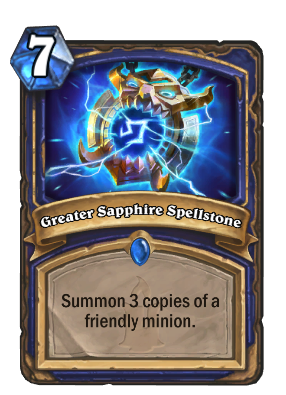 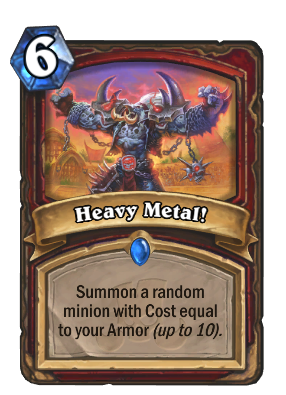 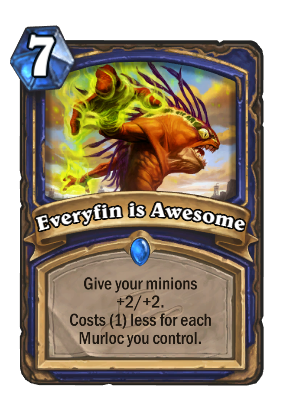 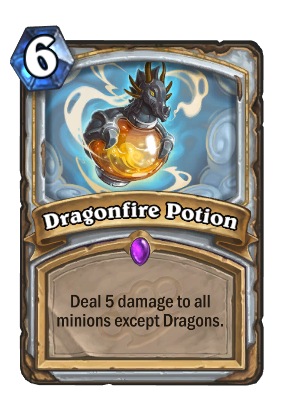 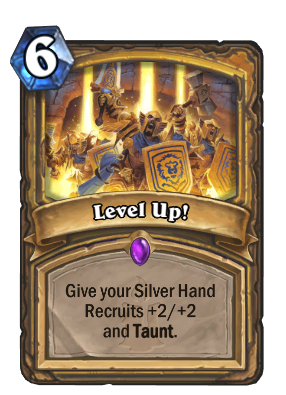 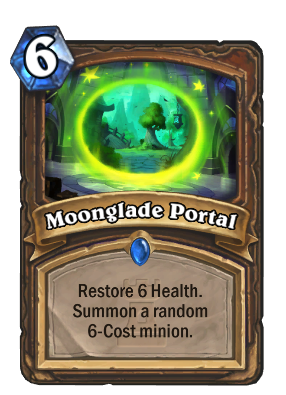 Give your minions +6 Health. 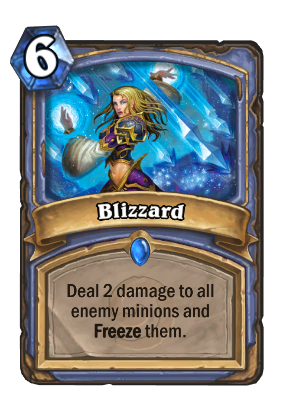 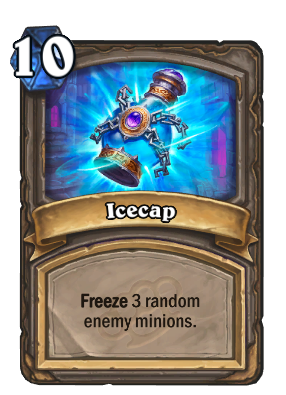 Freeze 3 random enemy minions. 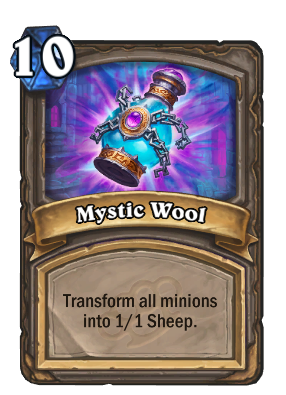 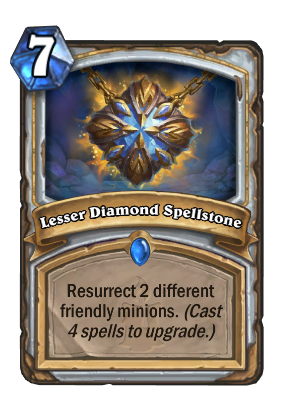 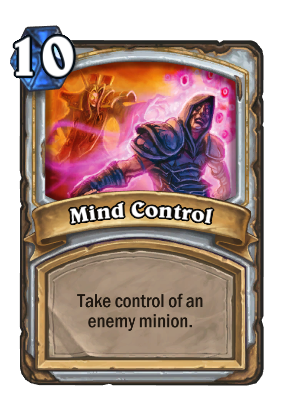 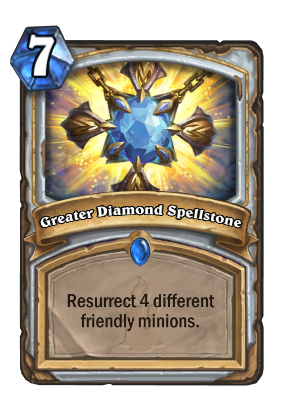 Transform all minions into 1/1 Sheep. 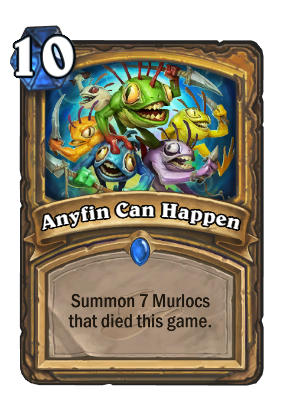 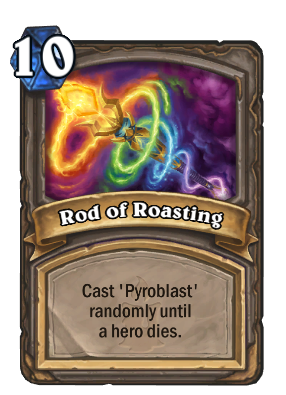 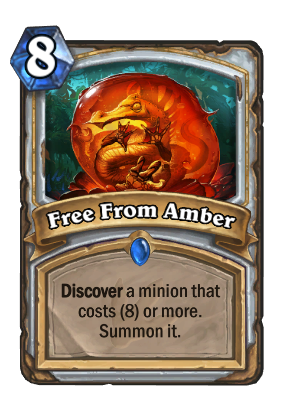 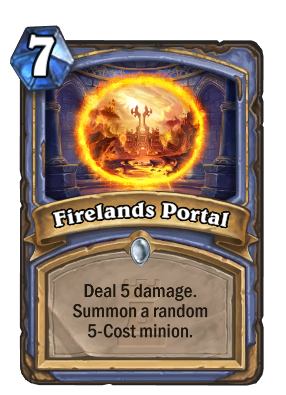 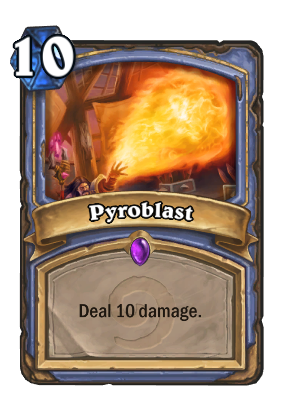 Cast 'Pyroblast' randomly until a hero dies. 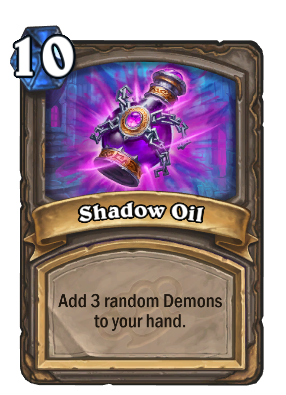 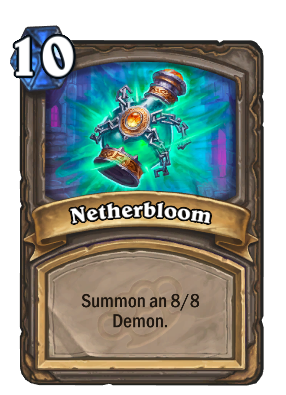 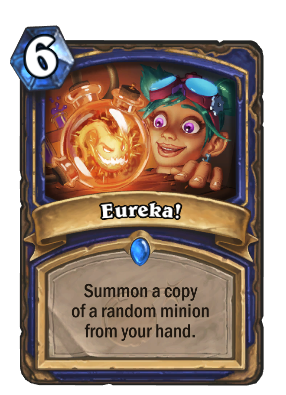 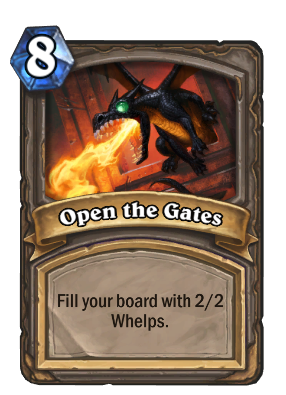 Add 3 random Demons to your hand. 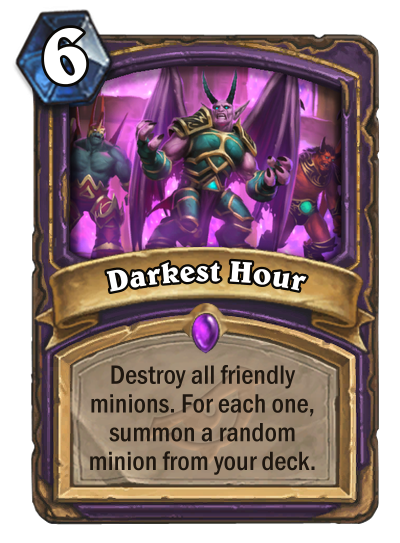 Destroy all minions. 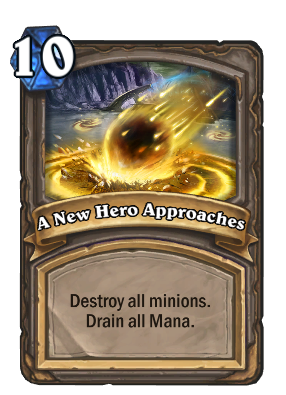 Drain all Mana. 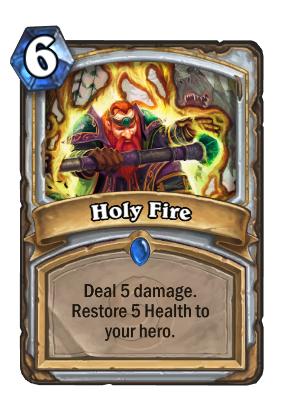 Gain 5 Health. 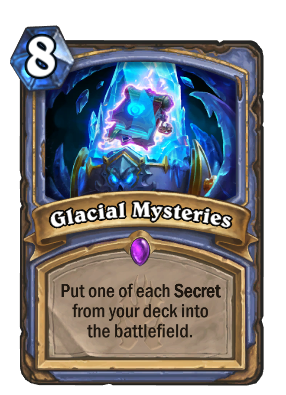 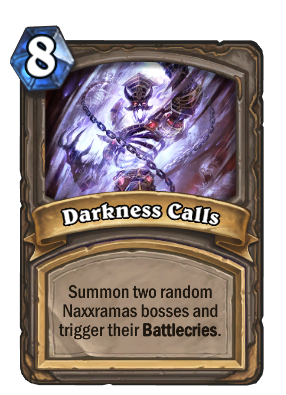 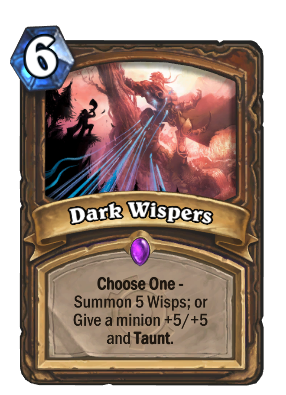 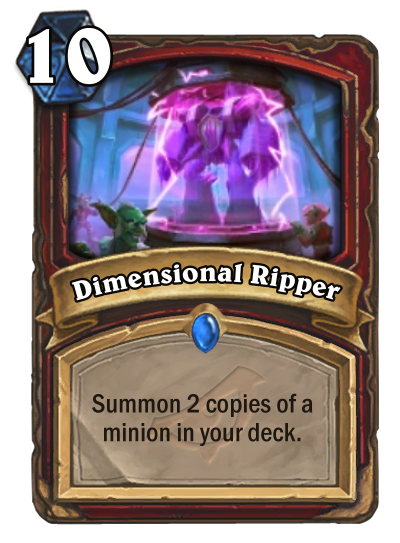 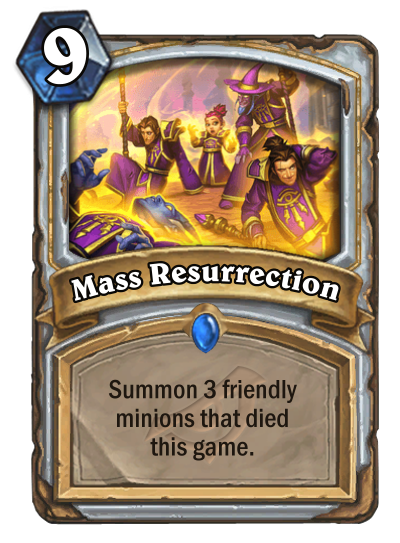 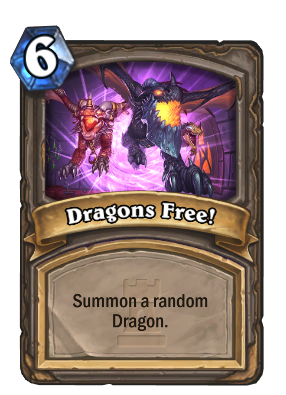 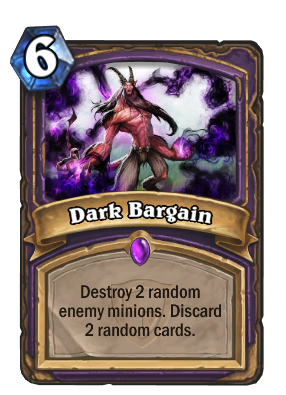 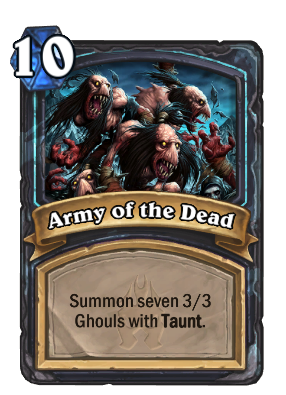 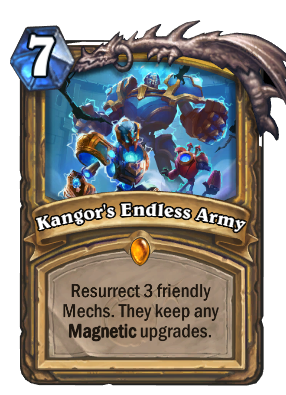 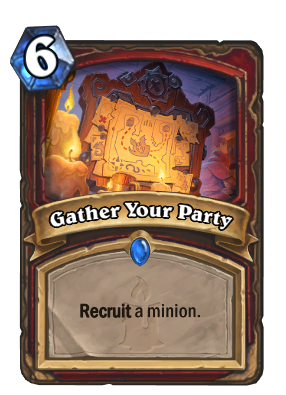 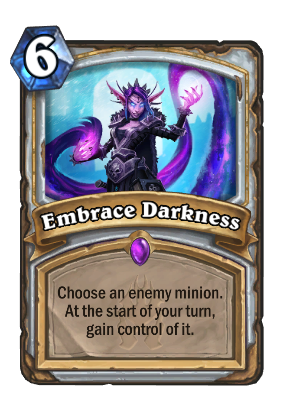 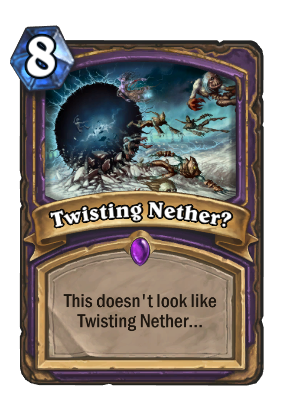 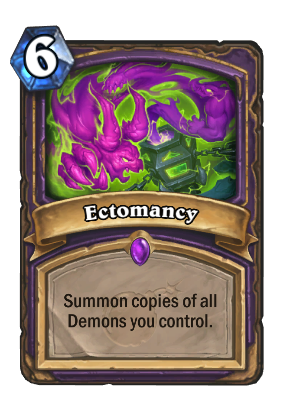 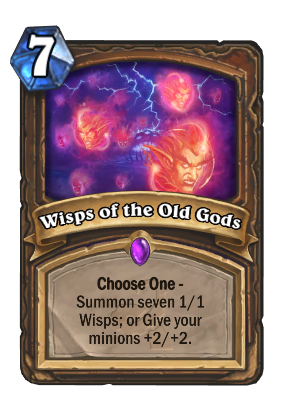 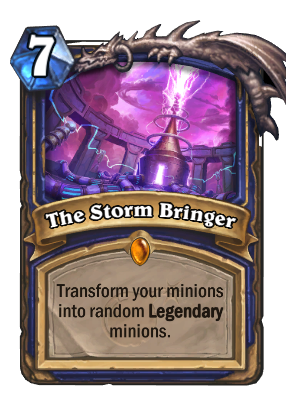 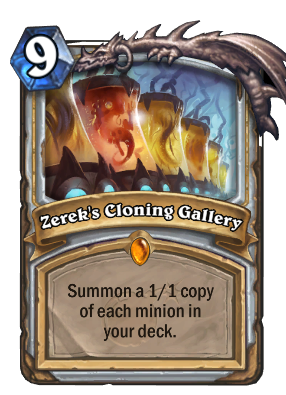 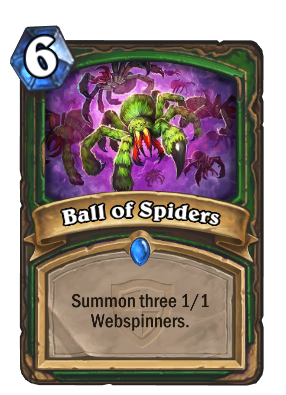 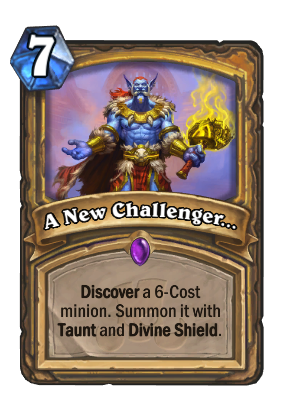 Summon two random Naxxramas bosses and trigger their Battlecries. 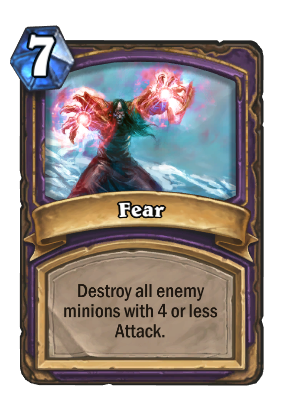 Destroy all enemy minions with 4 or less Attack. 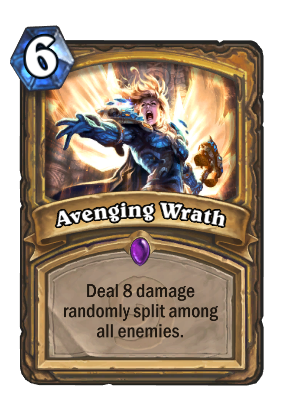 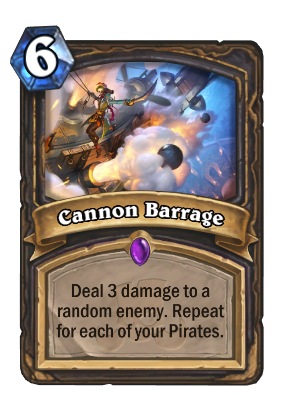 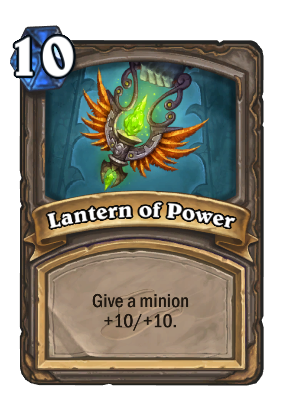 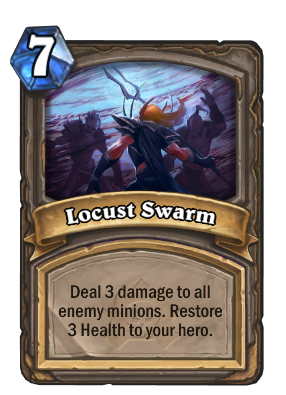 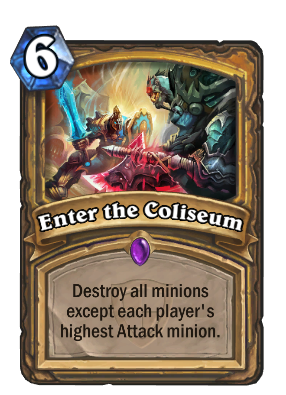 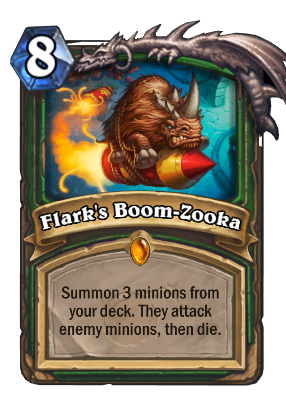 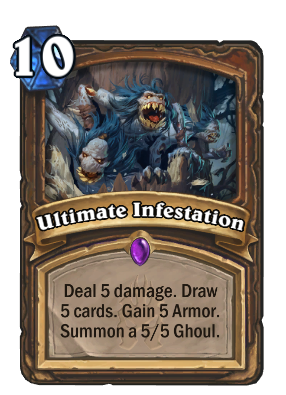 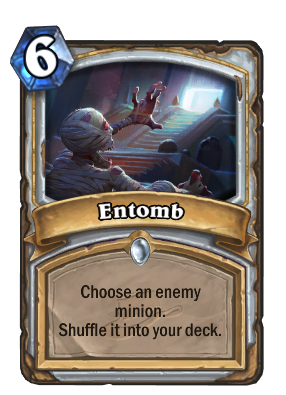 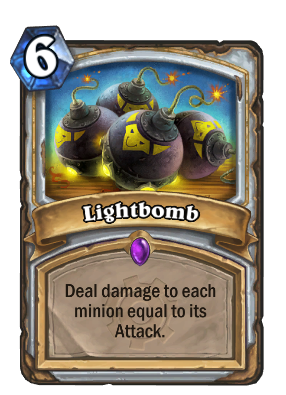 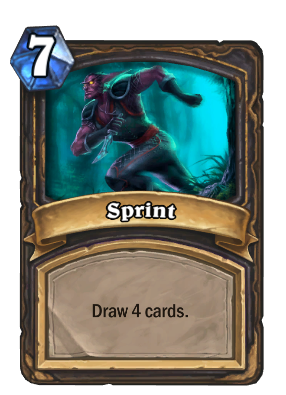 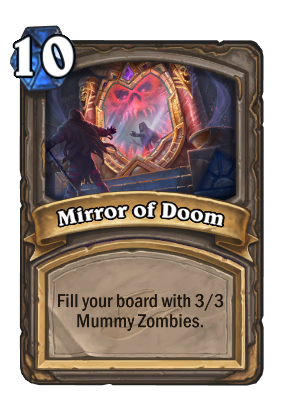 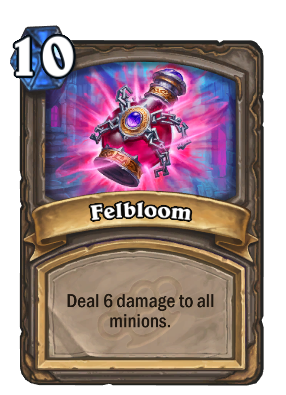 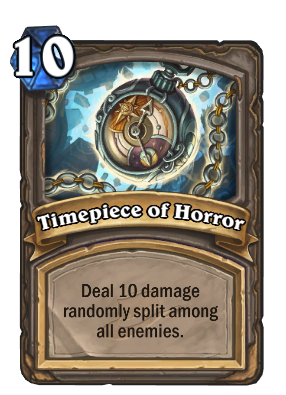 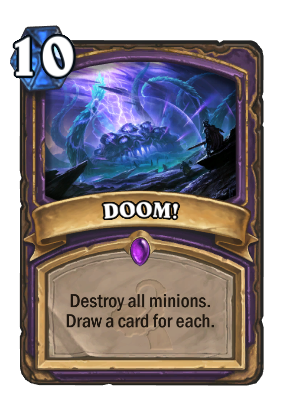 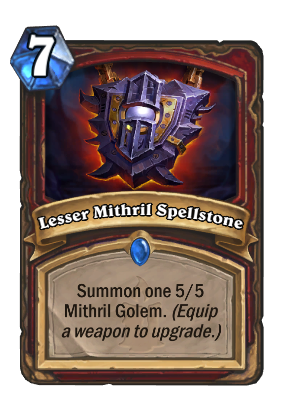 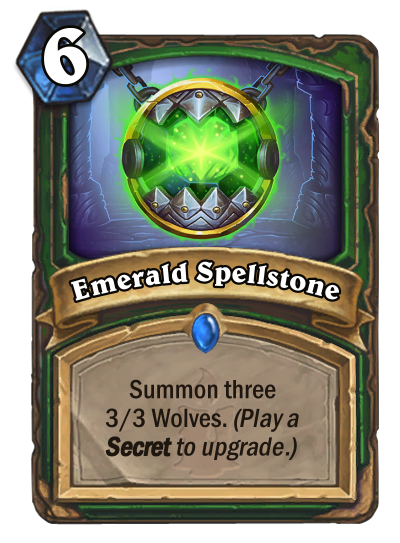 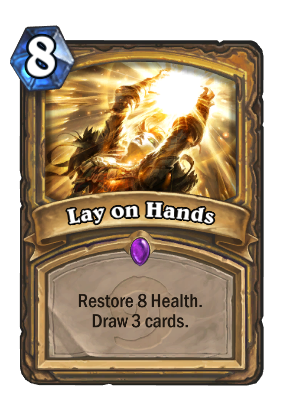 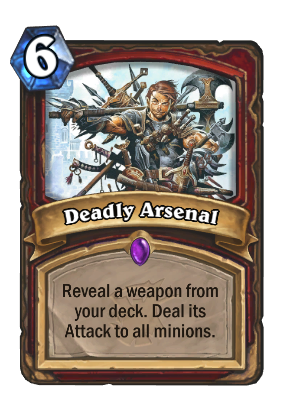 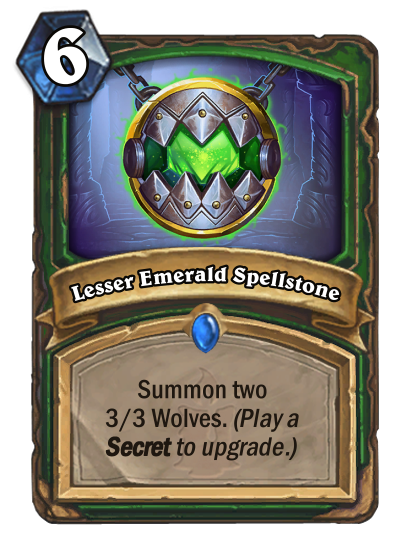 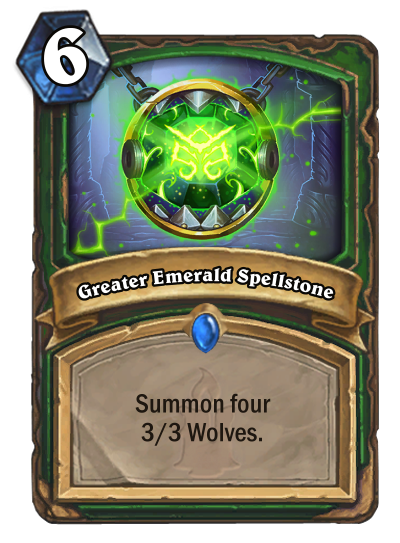 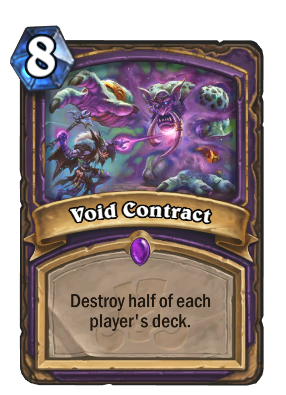 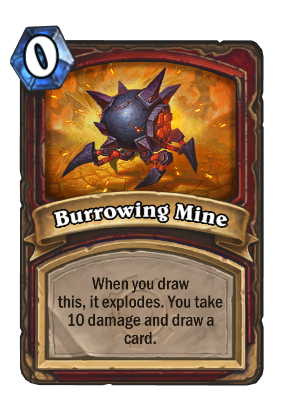 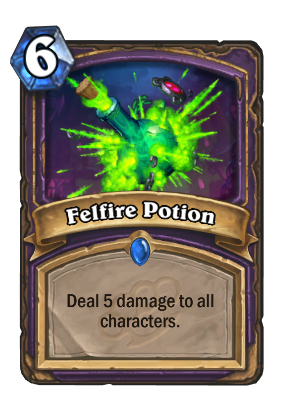 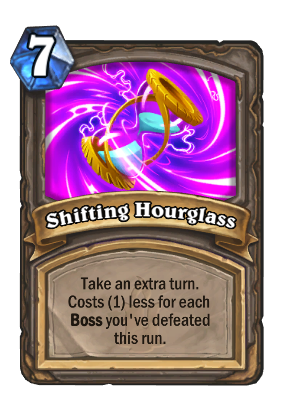 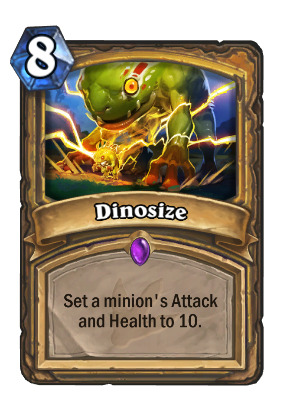 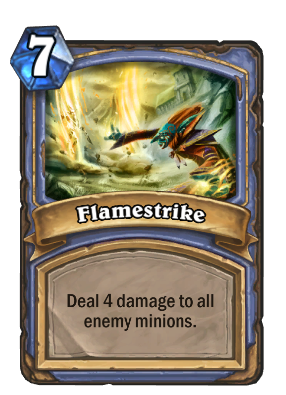 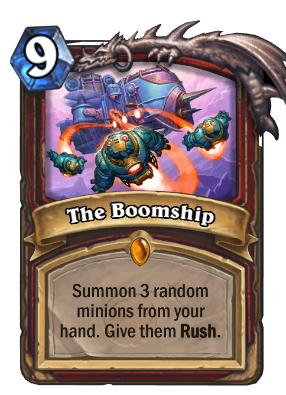 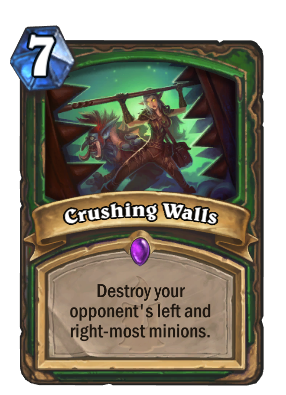 Deal 3 damage to all enemy minions. 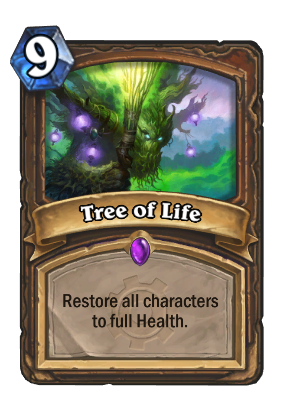 Restore 3 Health to your hero. 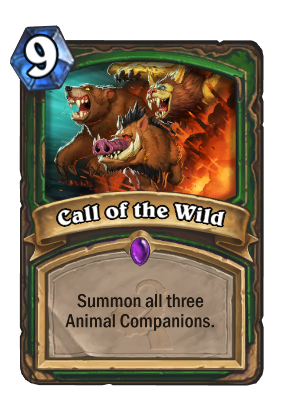 Summon 3 Hell Bovines. 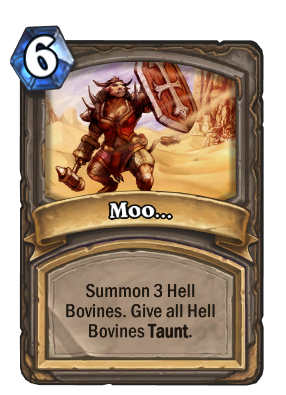 Give all Hell Bovines Taunt.